## What's New ## - New Video: Menu Demo - New Language Translations for the Nicepage User Interface - New Container Options - New Site Designs - Bug Fixes and New Features !new-designs.jpg! 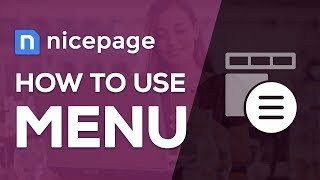 ### New Demo Video: How to use the Menu ### <table> <tr> <td>&nbsp;</td> </tr> <tr> <td width="300"><a href="/doc/article/9801/"><img src="https://i.ytimg.com/vi/YknLh58tewI/mqdefault.jpg">Menu in Nicepage</a></td> <td>&nbsp;&nbsp;&nbsp;&nbsp;&nbsp;</td> <td valign="top"><h3><a href="/doc/article/9801/">How to use the Menu in Nicepage</a></h3>We get many requests on how to export a project with the Menu, and then to make it work in WordPress or Joomla. This demo shows how to do that in Nicepage, and that is done easily.</td> </tr> <tr> <td>&nbsp;</td> </tr> </table> <table> <tr> <td>&nbsp;</td> </tr> <tr> <td width="300"><a href="/doc/article/9912/"><img src="https://i.ytimg.com/vi/k0tJXLTquOA/mqdefault.jpg">Improting to WordPress</a></td> <td>&nbsp;&nbsp;&nbsp;&nbsp;&nbsp;</td> <td valign="top"><h3><a href="/doc/article/9912/">Importing the Menu to WordPress</a></h3>This video explains how to export a theme with the Menu created in Nicepage, and then import it into WordPress.</td> </tr> <tr> <td>&nbsp;</td> </tr> </table> <table> <tr> <td>&nbsp;</td> </tr> <tr> <td width="300"><a href="/doc/article/9928/"><img src="https://i.ytimg.com/vi/H9oabNxU5ac/mqdefault.jpg">Improting to Joomla</a></td> <td>&nbsp;&nbsp;&nbsp;&nbsp;&nbsp;</td> <td valign="top"><h3><a href="/doc/article/9928/">Importing the Menu to Joomla</a></h3>This video explains how to export a theme with the Menu created in Nicepage, and then import it into Joomla.</td> </tr> <tr> <td>&nbsp;</td> </tr> </table> [Subscribe](https://youtube.com/c/nicepage?sub_confirmation=1) our YouTube channel so you do not miss our new videos. ### New Language Translations are now available### Added: Italian, Spanish, and Nederlands translations for the Nicepage User Interface !translations-new.png! 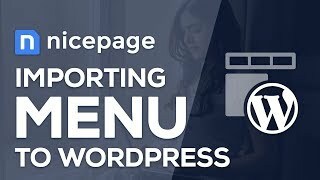 ## Feature Videos## **Container Paddings and Text Box Top Margins** <video width="856px" height="482px" loop="loop" autoplay="" muted="" playsinline="" style="border-radius: 4px; border: 1px solid #dedede;"> <source src="//static.nicepage.com/ForumAttachments/899/15899/container.mp4" type="video/mp4" /> </video> **Multi-Select** <video width="856px" height="482px" loop="loop" autoplay="" muted="" playsinline="" style="border-radius: 4px; border: 1px solid #dedede;"> <source src="//static.nicepage.com/ForumAttachments/956/15956/multi-select.mp4" type="video/mp4" /> </video> ### New Features and Bug Fixes ### - Container Paddings !container-padding.png! - Top Margin for the Text Box !text-top-margin.png! - Support for the Section Height in numerical values . CSS units like *vh*, *vw* are now supported. !section-height.png! - Image Background for the Page !page-bg-image.png! - Integration of Billion Photos *Upcoming Features*: Size Selection, and Download/Apply Feature !billion-photos.png! - Left Panel: Added the Right-Click Context Menu !left-panel-right-click-menu.png! - Improvements for the Export Dialog : - You can now choose the way you export your project: as a ZIP file or as a FOLDER with files; - Simplified the Export Options !export-dialog.png! - Project Folder !projects-folder.png! - Favicon Property is now available !favicon.png! - Added the support for the Edge Browser in the Preview option !edge.png! - Fixed the issue with the Three-Column Grid Layout in the Tablet Mode !grid-tablet.png! - Menu: Fixed the problem with the Responsive Menu; - Video: Fixed the issue with playing videos on the iPhone; - Video: Fixed the issue with the Autoplay. Now the Mute is enabled by default, so videos can play automatically. ### WordPress/Joomla ### - Fixed the Image Renaming issue. Now images have the same name as uploaded; - Fixed the Joomla Extension 500 Error; - Fixed the bug with showing the Metadata from databases; - Fixed the problem with cutting of long paragraphs in the Blog Templates; - Page Preview for Joomla !joomla-preview-page.png! - Joomla: Fixed the issue with the Blank Preview; - Joomla: Fixed the issue with imported menus; - The compatibility with the Jetpack Extension is fixed. - Added the Security Warning This warning is shown if the website and its Administration part use different protocols (http, https): !security-warning.png! ### New Site Designs ### Continued adding many new site designs every day! [Follow us on Facebook](https://facebook.com/nicepageapp) to see what happens every day! !FB-post---two-fixes-5.png! !FB-post---two-fixes-4.png!